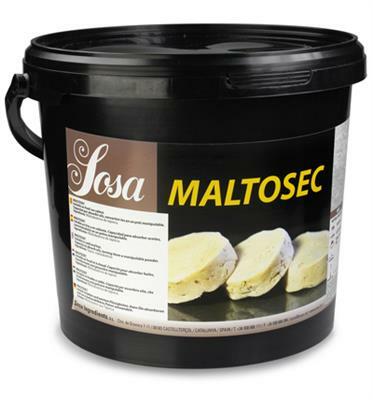 Derived from tapioca starch, Maltosec is an easy ingredient to work with. When mixed with fat, Maltosec absorbs the fat, transforming the ingredient into a powder offering chefs an opportunity to change liquids into solid form. This is ideal for creating a chocolate soil for example, as all you need is to mix it with melted chocolate. The typical dosage is 60% fat to 40% Maltosec to create a good powder. Some suggested uses are: olive oil, caramel, truffle oil and bacon fat.